New activist group is fighting for better development in their neighbourhood. From left to right: Kyturera Jones, Emily Muse, Christiana Tesfai, Donntayia Jones, Nikaya Paris, and Josh Creighton. For around a month now, Kyturera Jones, one of the main organizers, has been facilitating critical dialogue around the current proposals to (yes we’re using that word) "gentrify" Halifax’s north end. “Our plan is to develop and organize a committee that works together with the community in order to get our voices heard and our ideas incorporated within the Centre Plan that’s going to be constructed over the next few months,” says Jones. 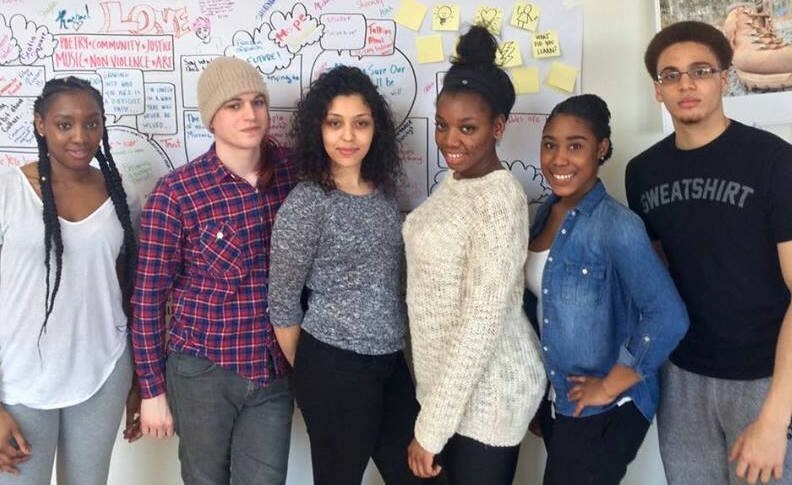 Also on the committee are Donntayia Jones, Christiana Tesfai, Nikaya Paris, Emily Muse and Josh Creighton. The group has been communicating with Jacob Ritchie, urban design program manager for HRM, to make sure their voices are incorporated as much as possible in the community’s impending extreme makeover. The group is also concerned about the number of Citadel High feeder schools currently up for review by the municipality. Five schools—St. Joseph’s-Alexander McKay Elementary School, Joseph Howe Elementary, Ecole Oxford School, St. Stephen’s Elementary and Highland Park Junior High are on HRM’s list to potentially close over concerns about pricey building upkeep and decline in enrolment. Most committee members, having attended these schools, want to see the facilities given back to the community if they can’t be saved. “Something like a recreation facility or a place where it can give back to us instead of it being used to build high-end condos for people,” Paris says. Kyturera Jones says the group is keen to continue working with the city. They also have a number of activities planned to raise awareness of the design plans and create opportunities to reach out to their neighbours. A community cleanup and BBQ is planned for late May, along with an upcoming information session—times and dates to be announced. “Just getting everybody on the same level is the main thing,” says Paris.